Allen and Heath ZEDI-10FX Mixer Flight Case 4.75 out of 5 based on 18 ratings. 18 user reviews. Great build quality, and perfect fit for the mixer, much sturdier than I expected for the price. Very Happy Customer. 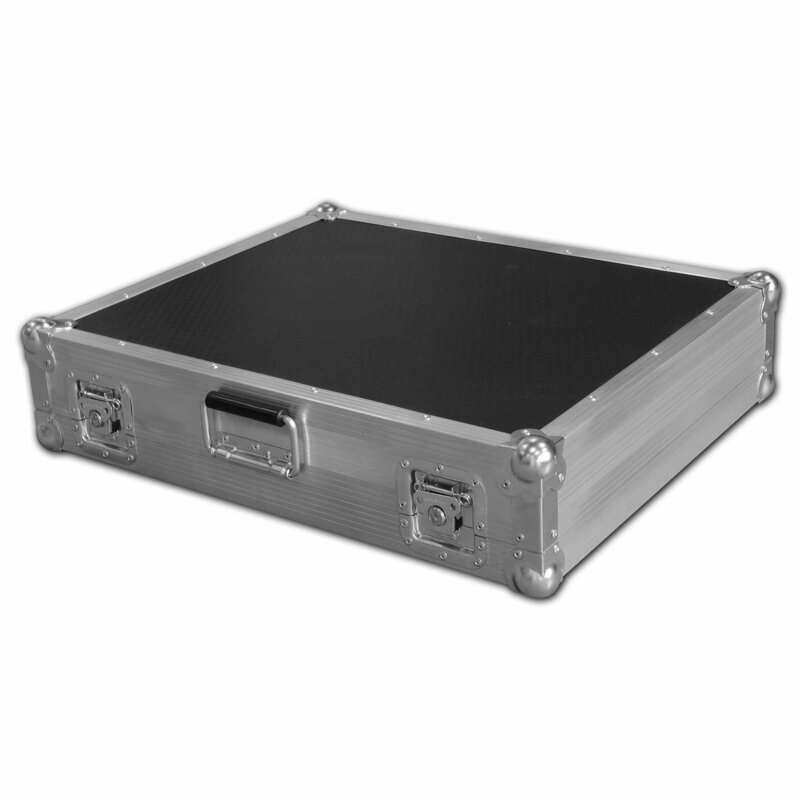 Tpo quality flight case, fits my Allen&Heath Zed24 mixer desk like a glove. Very secure and well made. Beautiful, smart and good looking mixer case that fits well. Very good quality and the customer service was excellent too. Beautiful case for a beautiful mixer. Looking forward to many years of sound engineering. Made to order this mixer case was well worth the wait. The ZED R16 fits perfectly and can stay within the case whilst working. It has been just the job to enable me to transport the mixer around for making live recordings with no worries. Wow, very nice for my mixer Allen & Heath Zed 420.I can enjoy in my job and the mixer in good protection against blows.Good job guys, congratulations. good strong construction and fit,seems perfect for the job. Robust case, well-made and a perfect fit. There is even a space to store the IEC lead. The case is a perfect fit and the quality excellent. It arrived in the time period quoted. Excellent service. Well made case. Mixer fits OK. I am very pleased with the excellent service quality and delivery on time particularly in view of the fact that I had to change the original case within 6 weeks due to a change of mixer. Good service - well constructed case - good finish - good value for money. Only negative point - case could have been improved by using more foam on the lid to ensure no movement of unit when transporting. Does the job well, solid, great fit - worth the dosh for that mixer!